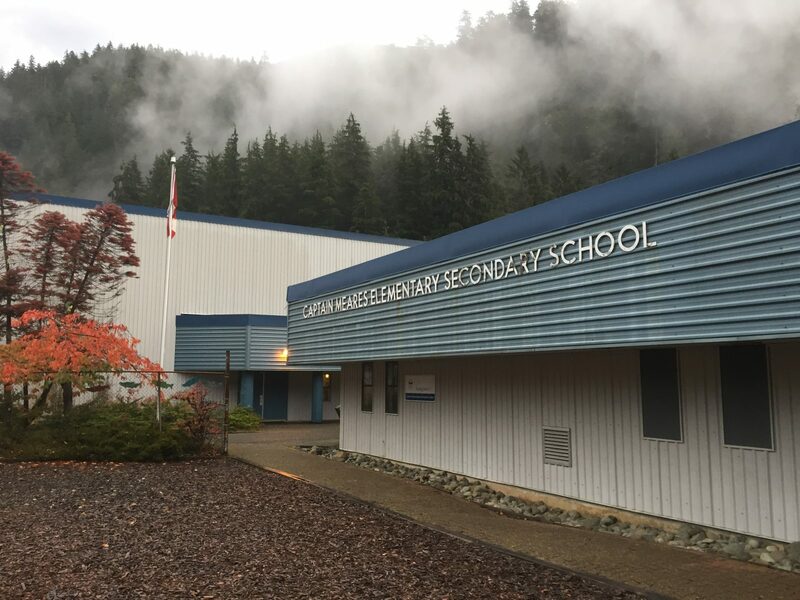 The Captain Meares Elementary Secondary School is a lively part of the Tahsis Community, and hosts many community activities and events. Captain Meares is a well-equipped facility with a dedicated and professional staff. Small class sizes and the comfortable feel of a rural school environment provide students with the opportunity to explore various academic interests and receive one-on-one tutoring and encouragement. The school has a High-Speed connection to the Internet, which is used for student research, information and technology courses, and for secondary students doing distance education on specialized interests and programs. Captain Meares has an excellent graduation program, with a higher rate than the provincial average both in students completing grade 12 and going on to Post-Secondary Education.